WordPress themes are the obvious choice for building a website for any type of business. They let you to customize your website as per your needs without requiring you to understand the complications of coding. Most of the website owners choose to have premade themes which allow them to customize their site easily. If you wish to incorporate some more advanced features into your website it’s better to go for a premium theme. 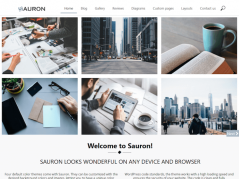 Premium WordPress themes are of high quality and include lots of advanced features and functions which can be customized for your needs. Here we showcase the best ultra readable typography WordPress themes that you can implement for your website. 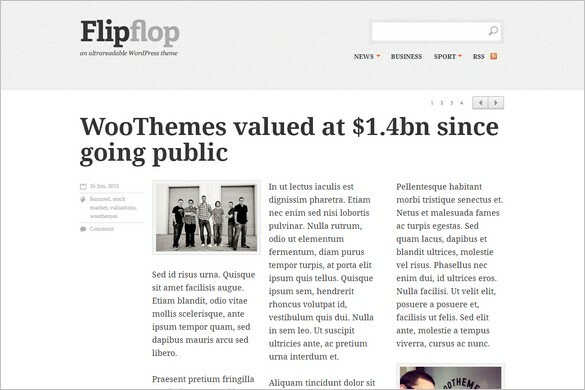 Flipflop is a responsive ultra readable theme in a News/editorial style. It is a premium theme and comes with many of WordPress functions. Flipflop lets you to customize your website easily and you can use the theme without understanding the complications of web designing. One of the important features of Flipflop is the Ultra readability. That means on whatever platform you’re viewing the theme, it responds and offers an optimized design for that particular platform- ultra readable typography. Google Fonts offer full support in Flipflop. This theme allows you to generate unique layouts for pages and posts. The custom settings panel allows you to specify 1 to 3 columns for the post content and insert images and videos in the columns making your website look like a real newspaper/magazine. The homepage displays the latest blog posts added on your website and you can remove the posts featured in the slider. 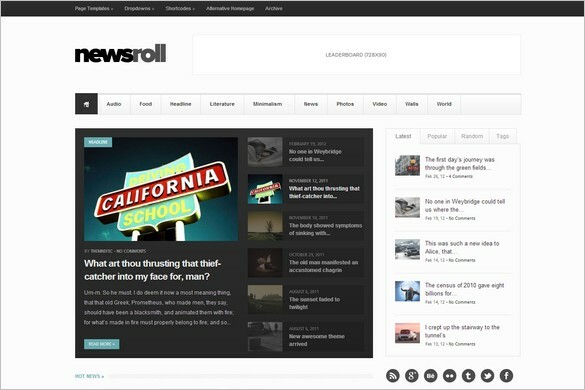 Newsroll is simple customizable WordPress theme that has a clean and sleek platform. This fully responsive magazine theme is packed with tons of features ideal for niche news websites, magazines or general news websites. Its custom templates and special features also support for portfolio and business websites. The modular homepage lets you to create your own layout, set your own color schemes and typographic combinations. The advanced theme panel is easy to use and customize. The Newsroll theme also comes with jQuery sliders, 3 posts formats (audio,video,Gallery) and custom post types (portfolio with taxonomies). 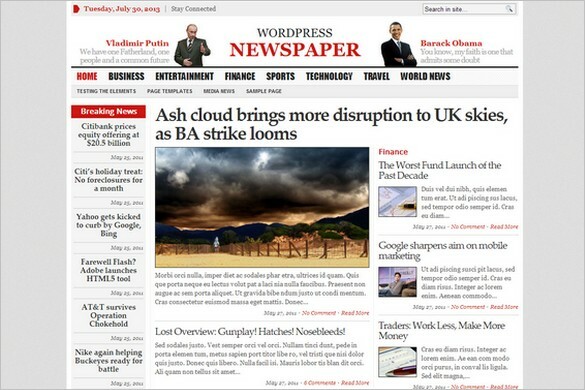 WP is a really gorgeous and crisp looking newspaper style WordPress theme that includes all the features of a newspaper site. If you are planning to showcase your content in unique newspaper layout, then, WP Newspaper is the template that helps you in doing so. This responsive design looks great on all devices. The Newspaper’s homepage displays a large featured article carousel. Your latest posts are shown in the form of thumbnails. To make your life easier, the theme offers custom post types like Gabfire media and photo galleries for better organization. The theme control panel lets you to enable or disable sliders, set number of posts to be displayed and many other options. Websites running these themes get better exposure on search results resulting in more traffic. Newspaper themes are compatible across all browsers. Transforms your WordPress blog images into an awesome slideshow just like a real online magazine. 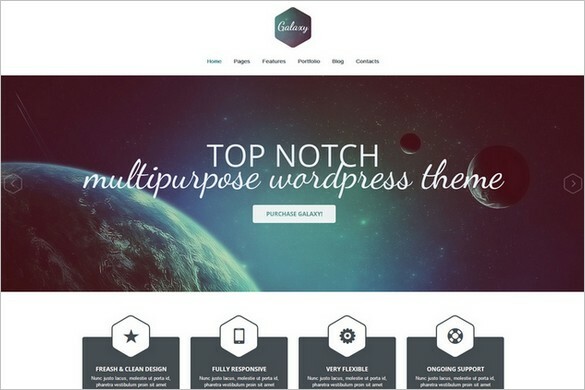 Galaxy is a beautiful WordPress theme which is ideal for corporate business websites and blogs. 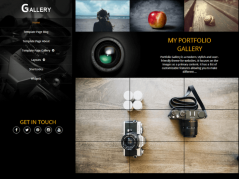 It is refined and retina WordPress theme for exposing your creativity. 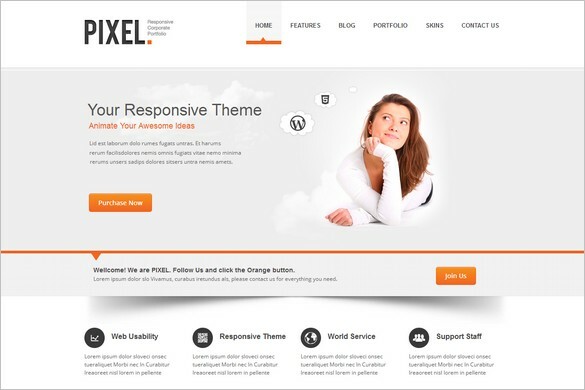 The Pixel theme is a responsive template that is embedded with advanced features and layout designs for designing any kind of business or corporate websites. It gives a professional look for your website. 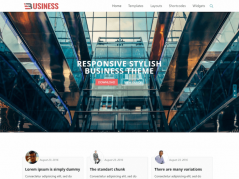 The theme is designed on a bootstrap framework. Shelflife is a professional e-commerce focused theme.